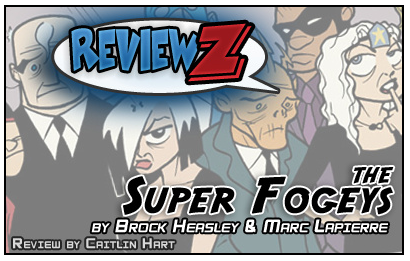 SuperFogeys - New Review of The SuperFogeys @ WebcomicZ! Hey everybody, just came across this excellent review of The SuperFogeys this week and, needless to say, Marc and I are extremely flattered by the high praise. It’s been a long time since we’ve seen a proper review–and I think this is the first one since Marc took over art duties. Big thanks to Caitlin Hart, who does not hold back her praise and steers clear of the spoilers! Check out the review for yourself right here at WebcomicZ!